Originally a side project of Ed Guy’s mastermind Tobias Sammet, Avantasia has grown to be a full-fledged act which features tons of guest appearances and very engaging and cinematic musical experiences. In the vein of artists like Ayreon and the Trans Siberian Orchestra, this band delivers some of the most lush and intricate releases filled with interesting topics and colorful characters. With “Moonglow”, the band unleashes on hell of a release with over 70 minutes of music. The experience begins with the lush and dramatic “Ghosts in the Moon”, a track that nicely sets a very grandiose mood. Filled with catchy vocal melodies and superb instrumentation, this track leads way to a very lively and emotional rollercoaster ride. The second track quickly rolls down the red carpet with killer vocal contributions from Ronnie Atkins, Jørn Lande, Hansi Kürsch and Mille Petrozza, making it one the the most bombastic and engaging songs of the release. For those looking for an epic long song, “The Raven Child” starts with a medieval-esque/folky vibe and explodes into dramatic orchestrations and guitar leads, courtesy of Sascha Paeth. This track is definitely one of the highlights of a very rich and complete release. Stepping up the pace and adding some futuristic synths into the mix, “Starlight” perfectly has that Heavy Metal vibe that we love from the band. The mood changes a bit with the ballad, “Invincible”, which features none other than Geoff Tate on vocals. With epic songs like “Alchemy”, “The Piper at the Gates of Dawn” and “Lavender”, we are treated to signature Avantasia tracks, filled with tempo changes and a variety of moods. Closing with the intense “Requiem for a Dream”, we are left energized after such an epic release. The bonus of their cover of “Maniac” is a brilliant way to lighten the mood and prepare the listener for another go. 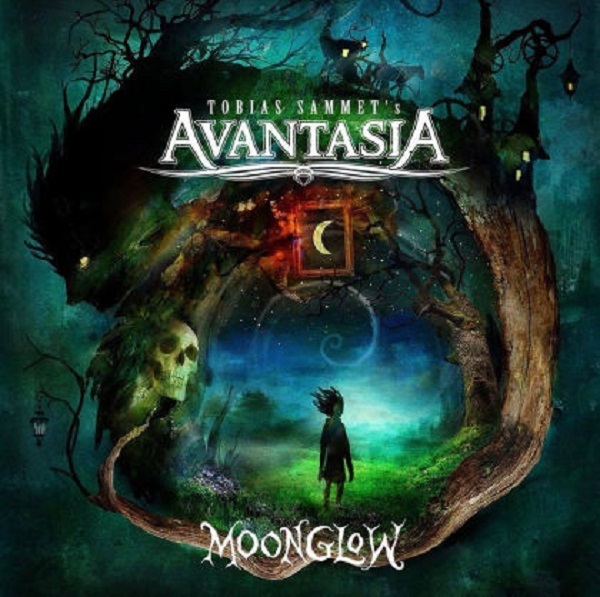 Overall, with over nine guest vocalists, this release is as epic and grandiose as all the previous Avantasia releases. If you like upbeat and highly diverse and engaging releases, it can’t get any better than “Moonglow”.